Alan Hovhaness: Symphony No. 63 "Loon Lake"
The loons! The loons! No, not in Minnesota — in New Hampshire, home of the music festival where this piece premiered in 1988. Co-commissioned by the Loon Preservation Society, the symphony celebrates the fowl perhaps most famously associated with American lakes. Leo Sowerby's 1922 tone poem is subtitled "Impressions of Lake Superior Country," and it does for the Great Lakes what Richard Strauss's Alpine Symphony did for European mountains. The programmatic piece begins in the forest, then makes its way along a burbling river to "the shining big-sea water" — seen, in Sowerby's case, on a car trip through Canada. Canadian composer Robert Farnon took his inspiration for this meditative piece from childhood visits to the Lake of the Woods: the giant body of water crossing the borders of Minnesota, Ontario, and Manitoba. A.E. Housman's nostalgic poem cycle was set by composers including Somervell — the composer most closely associated with England's Lake District. The newest pieces on this list, Lake Isle and its sequel were written just recently by Norwegian composer Ola Gjeilo. With unusual instrumentation combining piano, string quartet, guitar, and choir, the first piece sets a poem by Yeats — who was writing about Ireland's Lough Gill. The sequel (not yet recorded) has lyrics written specially for the piece by Charles Anthony Silvestri. Like Somervell, Gjeilo was moved by England's Lake District, which he calls "the most inspiring place." 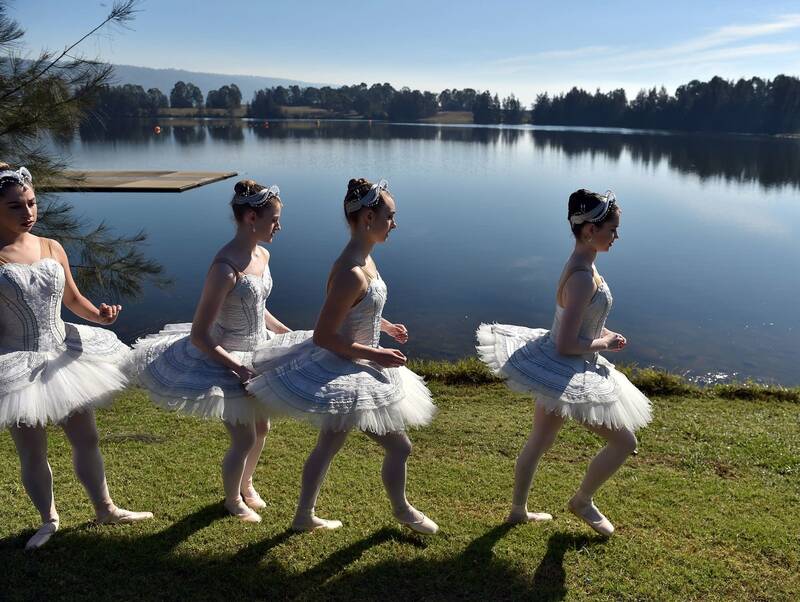 Certainly the most famous piece of classical music ever written specifically about a lake, Tchaikovsky's ballet inspired by Russian folk tales is one of his most beloved masterpieces. The music has beautiful tranquil passages, but also moments of high drama as an evil sorcerer and the infamous Black Swan do their dirty deeds. This 1819 opera tells the story of a Scottish beauty (the "Lady of the Lake") who's caught between dueling Highland factions. Again, not the most peaceful music, but who ever said lakeside living was always easy?